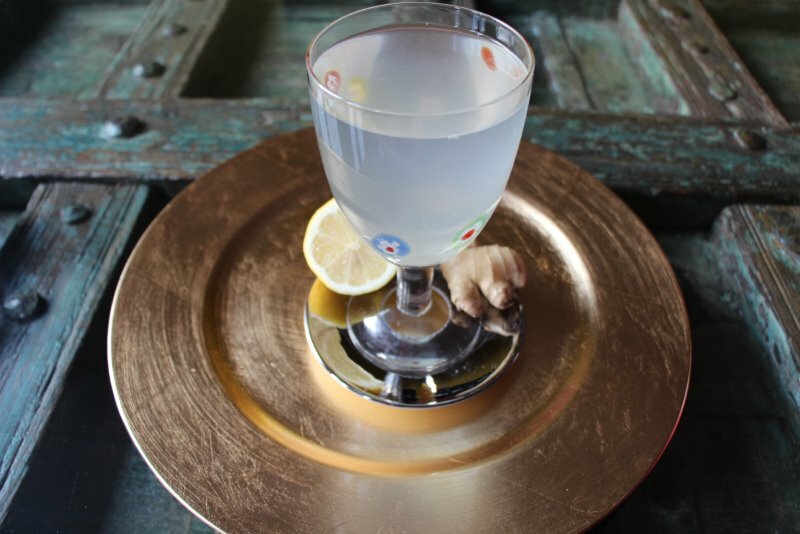 Ginger Lemon Tea – make it part of the detox protocol or use as a powerful cold/flu/cough remedy. This tea is best to be taken in the morning before breakfast as it will cleanse your digestive system and give you a good boost of energy. Ginger root is relaxing and soothing for our intestinal tract and stimulates the immune system. 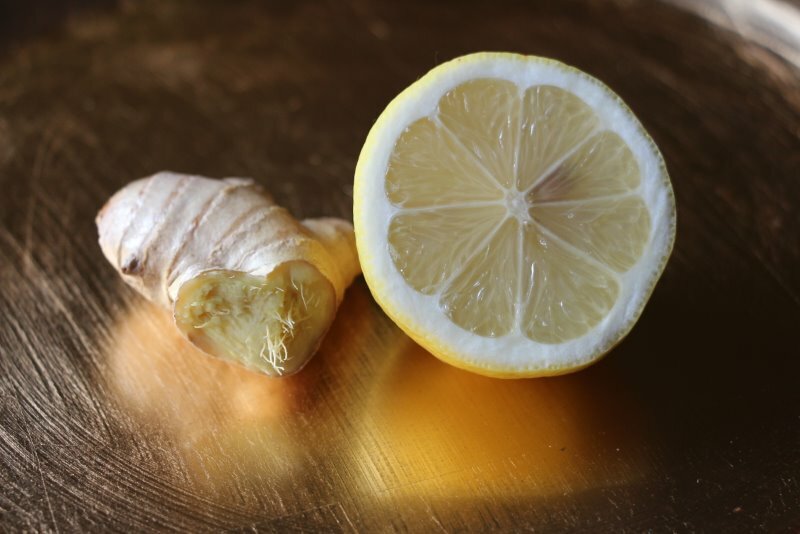 Cooked ginger releases specific compounds that increase cardiovascular circulation and warm us up. Besides an impressive amount of vitamin C and many other health benefits of lemon, the citric acid in lemons aids digestion and helps to dissolve kidney stones. That’s why ginger-lemon combination works extremely well and is inevitable part of many detox programs. When you add some honey and couple of cloves of crushed garlic and/or cayenne pepper you will get a powerful cold/flu/cough remedy. When part of the detox regime you can make this tea (double or triple the amounts) in the morning and drink throughout the day. Chop or even better grate the ginger root and infuse in freshly boiled water. Turn down the heat and leave it simmering for 20 minutes. When cooled, add lemon juice and stir. When used as cold/flu/cough remedy consider adding some of the following ingredients: honey, crushed garlic (leave it sit for 15 minutes after crushing), cayenne pepper or Echinacea tincture (couple of drops).